I think I posted this here before, but it's an interesting video definitely worth a viewing, or maybe a second viewing. This documentary offers a cogent analysis (using Irving Goffman's examination of advertising and the contemporary commercial landscape) shows how influential advertising media is in communicating "normative ideas about masculinity and femininity, the relationship between gender and power, and the everyday performance of cultural norms." 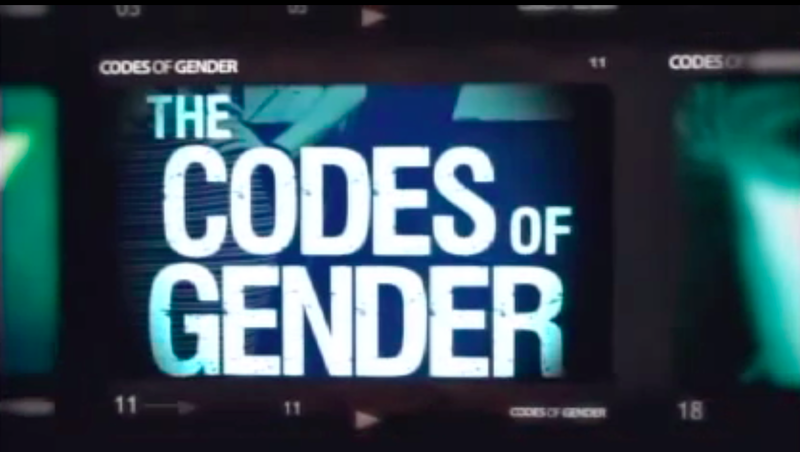 The Codes of Gender applies the late sociologist Erving Goffman’s ground-breaking analysis of advertising to the contemporary commercial landscape, showing how one of American popular culture’s most influential forms communicates normative ideas about masculinity and femininity, the relationship between gender and power, and the everyday performance of cultural norms. In striking visual detail, this film explores Goffman’s central claim that gender ideals are the result of ritualized cultural performance, uncovering a remarkable pattern of masculine and feminine displays and poses. The film looks beyond advertising as a medium that simply sells products, and beyond analyses of gender that focus on biological difference or issues of objectification and beauty, to provide a clear-eyed view of the two-tiered terrain of identity and power relations. With its sustained focus on how our perceptions of what it means to be a man or a woman get reproduced and reinforced on the level of culture in our everyday lives, the film is a great introduction to socially and culturally constructed gender roles.